The Social Media Basics online course has been introduced into the BBC WebWise learning resources. I have used and recommended the BBC online e-learning resources numerous times throughout the years within my work, including WebWise for IT / computer use, Skillswise for Skills for Life in Literacy and Numeracy as well as the RaW campaign to assist with Reading and Writing. This latest addition is a welcome update as an advocate for Social Media / Networking and will allow learners to understand the various benefits and uses of the Social Media services available as well as the safety and privacy aspects. I have delivered tutor-led awareness sessions as an introduction to Social Media and this will be a useful resource to signpost learners to for additional resources as well as to complement existing course material. The BBC WebWise Social Media Basics course can be accessed by clicking here. The waiting is nearly over with less than ten days remaining until HP Palm’s big announcement(s) on 9th February, I thought I would take a nostalgic look back over my usage of Palm devices, Palm’s history and look forward to what possibilities could be available very shortly. I have used Palm devices for over 10 years, initially using a Palm m505, then a Palm Tungsten T3 and TX. All of these devices were PDAs (Personal Digital Assistants), which used various versions of the original Palm OS operating system. Since it was launched in the UK, I now use a Palm Pre, which is a smartphone. When reflecting on the older Palm PDA devices, I used them for various reasons including personal and work activities. The main features I utilised were for PIM (Personal Information Management), for example: calendar appointments, contacts, memos and notes. I would use the devices for various other activities including accessing the Internet, playing games, listening to music, watching video clips and using a range of installed applications. In the later TX model, I was able to use this for GPS Satellite Navigation in addition to the above uses. Throughout using all of the devices, I enjoyed the convenience of being able to use a portable, handheld device in order to access, view, create and edit information, the ability to sync information between the device and Palm Desktop on my computer using the cradle or cable. Just like the cradle with older Palm devices, the Pre uses a Touchstone dock, allowing the phone to charge wirelessly using inductive technology. 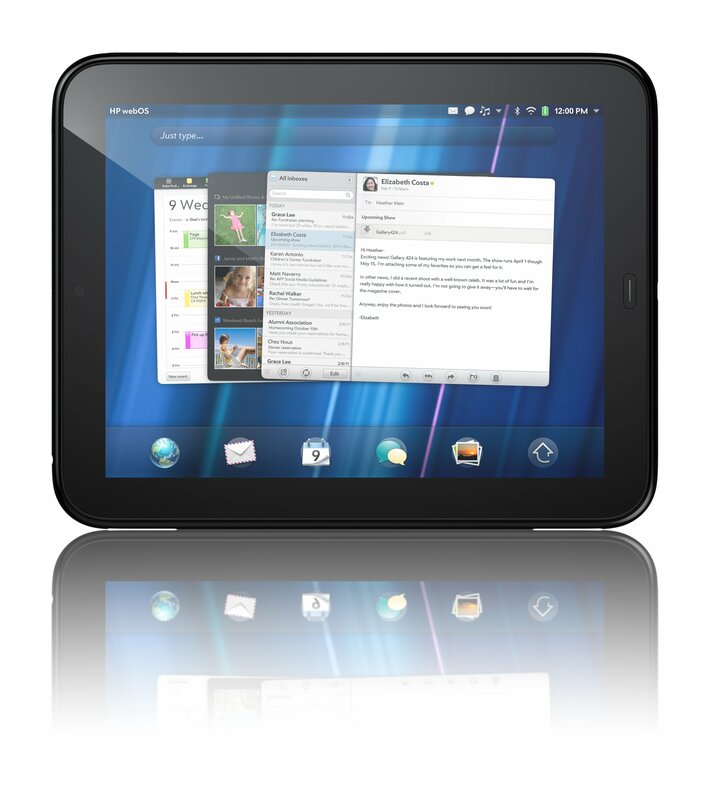 The Palm Pre uses the Palm webOS operating system. 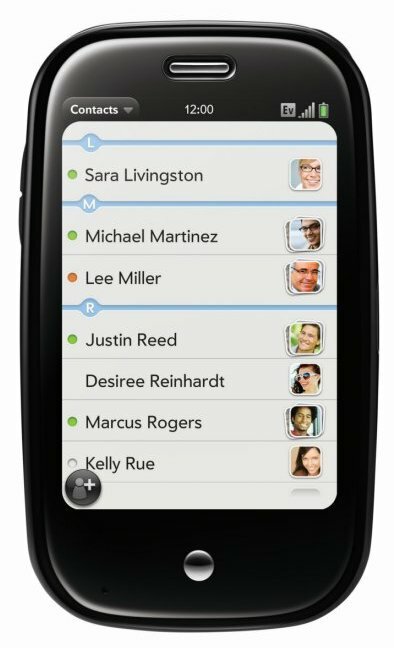 Some of the main benefits of webOS are the multi-tasking capability, notifications of updates and messages (calendar appointments, text messages, emails and other alerts), ability to synchronise various online accounts (email, contacts, calendars and others including Facebook, Twitter etc) to the phone as well as a modern user interface. The main method of interacting with older Palm PDAs was using a stylus, however with the Palm webOS devices they use natural finger gestures via the touch screen, like other modern mobile phones. Multi-touch actions are also supported to allow you to zoom in and out of pictures for example. In addition to the touch screen, the Pre has a QWERTY keyboard that slides out, due to being a slide type phone. Another difference between Palm OS and webOS is the multi-tasking ability, whereas previously you would have to go in and out of applications. With webOS you can multi-task being able to go between several open apps at once with each application being displayed within a “card” concept. The webOS operating system is updated via automatic OTA (over-the-air) updates when necessary, allowing new features, applications as well as other improvements. Throughout using all Palm devices, I continually use them throughout the day, everyday in my personal and work life for various tasks including contacts, appointments, alarms, reminders and typing notes allowing me to access information and complete tasks quickly and easily without the need of a computer, especially somewhere when computer access isn’t possible. In relation to the upcoming HP Palm announcment, I imagine HP Palm has been busy behind the scenes preparing new devices, webOS updates as well as other new features and products in preparation for the big “Think Beyond” event on 9th February. This is reinforced by the various leaks, rumours and duration since there has been a new device or significant webOS update released. As a long time Palm user, I’m personally looking forward in anticipation to a selection of new devices in a range of form factors, such as phones, tablets / slates for the different needs of the users. I also look forward to other improvements, such as new innovative features in webOS updates, new apps, faster performance as well as improved battery life. The announcement(s) that HP Palm will be revealing in just over a week will hopefully represent the biggest announcements of what will be coming very soon and in the near future in terms of their roadmap for devices, webOS, accessories and other updates. Featured in Plymouth Herald newspaper on 8th January 2011 regarding the latest beginner computer course opportunities offered for the New Year. The course activities are part of the latest UK Online Centres Go ON – get more out of life online campaign. To view the article go to: http://www.thisisplymouth.co.uk/news/Beginner-courses/article-3078265-detail/article.html or click on the screenshot below. What I love most about HP Palm is…that you can get on with life! Whether for personal or business use and even when you have access to a computer to do something, sometimes it’s easier and quicker to get the task done from your HP Palm WebOS phone due to it’s innovative features and apps ready to instantly launch. For example, the effortless and intuitive user interface, instant access to email, multi-tasking between applications, notifications alerting you of new messages or updates. Having a HP Palm phone is especially important in places where you don’t have access to a computer but need to get something done, like send an important email as the resources and information you need is available at your fingers! Also, with some devices it is difficult to be able to do anything, whereas with HP Palm you can complete multiple tasks: such as search for a Christmas gift online, find the best, order it, receive an email notification and read the email confirmation. Finally, the only part that doesn’t involve your HP Palm phone is sitting back and relaxing whilst waiting for the gift to be delivered! However, whilst you are relaxing you could play a game or listen to some music on your device! Although the latest HP Palm phones use the WebOS operating system, which is completely different than the previous Palm OS existence, the HP Palm principles, features and benefits remain the same: innovative features and technology, focus on the user experience as well as incorporating the latest features of today, such as Flash content and social networking apps. Sometimes you even forget it’s a phone too! But for a multitude of simple tasks and activities like calls and managing contacts and calendars, then this can be done easily as well. Also with features utilising cloud services, this further releases the dependence on using a computer and allows you to sync your information without a computer for backup purposes and to access via online accounts. Another feature is the App Catalog, enabling access to a selection of constantly updated applications to download and use, such as games, tools and various software for playing music or Internet radio stations, editing photos, checking the status of trains and planes and checking the weather. This enables users to expand their HP Palm experience and productivity even further. Another example is the Poster app, enabling you to access, create and edit WordPress.com blog posts and content, which is what I used to publish this blog post you’re reading. Other features, like over-the-air updates add new features to make it even better and faster as well as important updates to ensure your HP Palm WebOS device doesn’t get left behind. Whatever reason, whether for business or pleasure, whatever time of the year, wherever you are and whatever you need to do, you can be reassured you’ll be able to do it on a HP Palm phone or device. Due to the above, a HP Palm smartphone is the ultimate handheld device as it’s so powerful, productive, innovative, quick and useful, that it’s difficult to get on with life without one! You are currently browsing the archives for the IT / ICT / Computing and Technology category.